Today was a very fun day in Class 4. First was outside play with the other Immersion classes and Class 8. The children had a lot of fun riding their sleds and having snow ball fights. 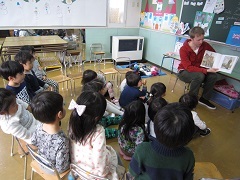 After morning meeting Class 4 got a letter from Hone who taught them a New Zealand song. Everyone did a good job in remembering the Maori words for the song. 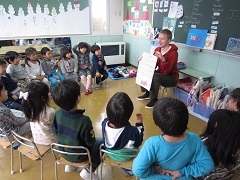 After singing we did some English writing and played some of the favorite games of Class 4, Cargo Train and the Stop Game. 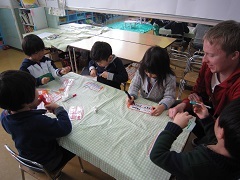 After a yummy lunch some of the children continued to practice writing English while others played with marbles. Overall it was a very pleasant day in Class 4. © Copyright 2014, Yamanote Gakuen All rights reserved.